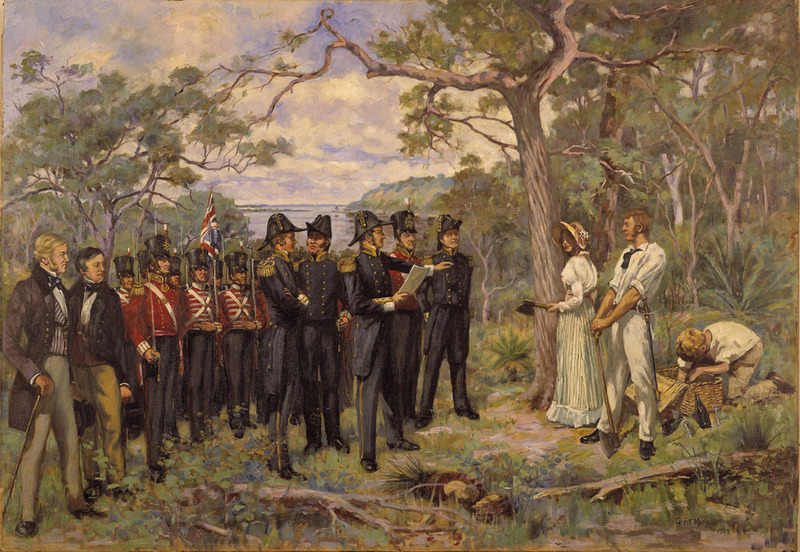 This painting by George Pitt Morrison entitled 'The Foundation of Perth' commemorates the ceremony on 12 August 1829 when the new town was founded. The Colony of Western Australia had been proclaimed by Lieutenant-Governor James Stirling two months before. From 1929 copies of this well-known painting were distributed to all Western Australian schoolchildren to mark the centenary of the founding of the State.